Sugiurumns New Album Is Finally Out Here After Interval of 3 Years. The Theme Is an Artificial Intelligence (AI), Where You See The Profound Story Composing of Electron.When an Artificial Intelligence Reaches at The End of Young Stage, an Android Dreams of Electronic Instrument.BASS WORKS RECORDINGS Awaited Second Seasons Begins with this Brilliant Work! !After 3 Years of Devoted Production Time, 20 Years of Sugiurumns Music Career Resulted in This Crystal Programing Sounds.He Describes the Scenery of Artificial Intelligence Swallowing and Destroying The World with a Musical Arrengement Combined with Rhythm Machines and Synthesizers and Black Humor with Cynical Point of View as If He Is a SF Writer.Not Using Any Raw-Instruments and Samplings Besides Vocal, It Became the Finest Piece of Work, Making Us Remember the Labels Like Early MUTE and Factory . Damn! !We, BASS WORKS RECORDINGS will never let you down!! 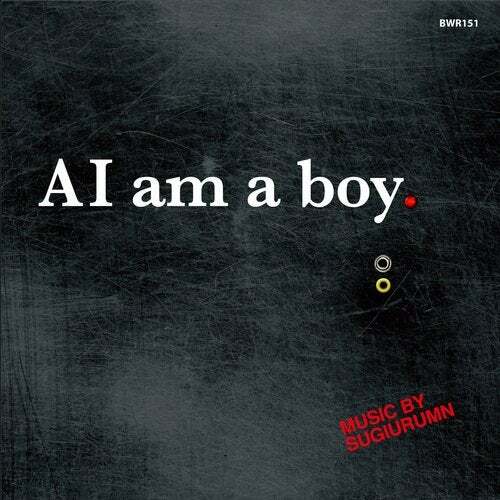 SUGIURUMN (BASSWORKSRECORDINGS, http://sugiurumn.com https://www.facebook.com/djsugiurumn )SUGIURUMN Has Released 7 Albums As Well As A Lot Of Singles And Remixes As A Producer So Far. He Welcomed Well-Known Singers In His Album Including Aran McGee(Creation Records), Mark Gardener (Ride), Bez(Happy Mondays), Rowetta(Happy Mondays), Tim Burgess(The Charlatans), Kram(Spiderbait), and Sideshow Bob(Galliano). Also His Tracks Are Remixed By World Top DJs / Producers Including D-nox and Beckers, Axwell, Steve Angello, Santos, Kaskade, Infusion, Richard Gray, Plastik Funk, Terry Farley, Peace Division, and Ken Ishii. He Won Attention As A Producer In Europe And Which Made Him To Expand His Playground Worldwide. As A DJ, Having Played At European Top Venues Including Pacha(Ibiza) And Sankeys(Manchester) , Regular Gigs At Asylum Afterhours(Honolulu) And in Asian Countries, He Shared A Lot Of Time With A Number Of Real Party People Around The World.It Was in 2013 That He Launched His Own Label, BASS WORKS RECORDINGS, Where He Sends Out Serious And Real Dance Music To Underground Party Freaks, Crossing Over Music Categories From Techno Thorough House. The Label Has Released Over 100 Tracks, Involving Most Of Japanese producers.The Latest Album, 20xx(2014) Consists Of Genre-Straddling Deep Floor-Oriented Tracks,Which Is Gradually Nipping At Party Peoples Heels.All The Experiences He Had Including Sharing Floors With Originators Or Even Past DJ Experiences Itself Lead Him To Climb Next Step And Make People Go Crazy On The Floor As An Innovator.